Austria is a wonderful country to visit, but to ensure your stay will be as pleasant and trouble-free as possible, it is one of those countries where it is very important to have a good knowledge of local customs and culture before arriving. In this article you will discover some of the most essential things that you either should or should not do when visiting Austria. Generally speaking, Austria is not a country where people tend to go about in casual clothing. The unofficial rule is that it is impossible to ever be over-dressed in Austria. This means that, unlike most other places where you need to dress down so as not to stand out as a tourist, in Austria you need to do exactly the opposite. Wear your best clothes and your biggest smile, and you can’t go wrong! There are four main reasons why people visit Austria. The first, of course, is the amazing mountain scenery that truly seems like a section of heaven has found its way to earth, so don’t forget to pack your climbing carabiners in case you fancy a spontaneous trek! The second reason is the incredible architecture, which has survived through two major wars more-or-less intact. The third reason is the unique and delicious Austrian cuisine. The fourth reason, of course, is the fascinating culture and history. Austria is not by any means a cheap country to visit, so why would you want to spend all that money getting there and then not fully immerse yourself in the experience? For such a tiny country, there is a lot to explore, so make sure you get out there and do it. It goes without saying, also, that if you visit Austria without buying Vienna Opera tickets, you will never forgive yourself, and nor should you! This is, after all, the very home of classical music. In modern Europe, most people can speak at least some English, but that’s no excuse for not spending a bit of time learning some German before arriving. It’s actually a very easy language for English-speakers to learn because many English words are derived from German origin. At least attempting to speak German will open many doors for you that otherwise would remain closed. In America, business owners always greet their customers, but in Austria it’s expected that customers will greet the shop keeper. If you forget to do it, it may appear to others that you’re being rude. This tradition probably evolved as a method of ensuring the shop keeper would know there was a customer in the shop. After spoiling yourself rotten in Vienna (it’s impossible not to! 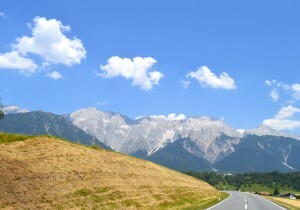 ), it is essential to round off your Austrian vacation with a visit to the Tyrol region. There’s just something about Tyrol that makes every visitor fall in love with it. Maybe it’s the fairytale-like atmosphere, or maybe it’s the charming traditions of quaint rural villages, but whatever it is, Tyrol has a magical effect. Now that you know all the important things you should do, and a few things you should not do, there’s just one more thing you definitely must do, which is to start planning your journey!